Today, we live in a world where everything is constantly changing, and we have to quickly adjust and adapt to those changes. With change occurring at a rapid pace, information is also constantly changing. In addition, how we deliver and explain this information is changing, as well. Despite how much information is changing and becoming more complex, there is not much consideration given to the approaches on how to tackle the influx and complexity of constantly changing information. If change is the only constant, how do we adapt to this change and navigate through the chaos? Furthermore, this audiobook touches on the self-created complexities that often distract and prevent us from getting to the most meaningful things in our lives. 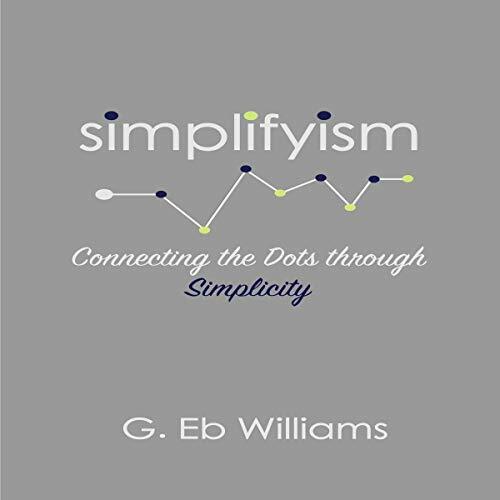 Simplifyism takes you beyond the complex, useless, and confusing to the simple, substantive, and clear. This audiobook is an indispensable guide to anyone seeking to improve his or her focus and productivity through simplicity in this distracted world.